12th Freshers required for the position Trainee in LARSEN & TOUBRO LIMITED. Interested and eligible candidates who have strong skill on desired profile can apply online for the requirement with the link given below. Find the job description, eligibility criteria, exact venue and interview details for more information. 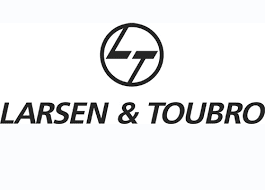 LARSEN & TOUBRO LIMITED Hiring 12th freshers 2017 for Trainee. Candidates who have completed 12th can apply for this job from LARSEN & TOUBRO LIMITED. arsen & Toubro is a major technology, engineering, construction, manufacturing and financial services conglomerate, with global operations. L&T addresses critical needs in key sectors – Hydrocarbon, Infrastructure, Power, Process Industries and Defence – for customers in over 30 countries around the world. L&T is engaged in core, high impact sectors of the economy and our integrated capabilities span the entire spectrum of design to deliver. With over 7 decades of a strong, customer focused approach and a continuous quest for world-class quality, we have unmatched expertise across Technology, Engineering, Construction, Infrastructure Projects and Manufacturing, and maintain a leadership in all our major lines of business.